Say goodbye to the car stereo receiver that take CD! 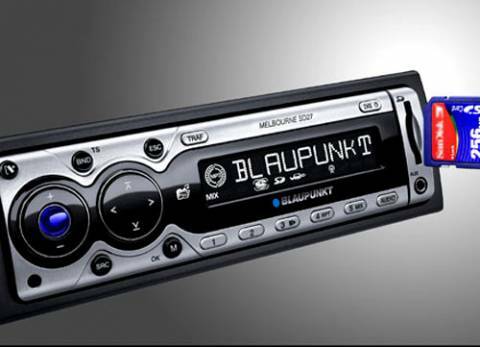 The leading German manufacturer for car radios and car audio equipment, Blaupunkt has introduced its latest Melbourne SD27 Car Stereo that only play the musics/songs via an SD/MMC memory card slot. No CD slot at all! Besides, this device can support MP3, WMA files and displays those ID3 tags on its LED display, aiming to enhance your car audio experience. With the use of an optional adapter, the latest car stereo from Blaupunkt also able to integrate with cell phones, iPod, portable MP3 storage devices or GPS devices, and anything suit an analog 3.5mm audio plug. The new Blaupunkt Melbourne SD27 Car Stereo Receiver is now available for about $160.